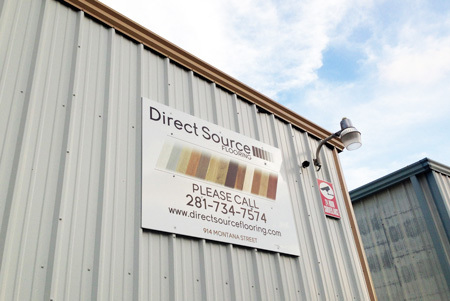 Direct Source Flooring is a Houston, Texas based laminate flooring warehousing and sales facility. 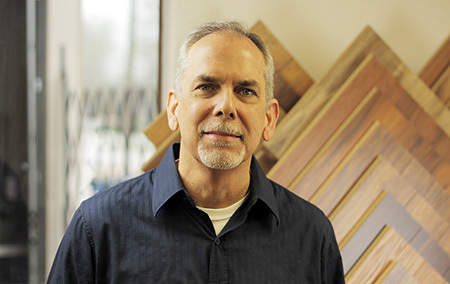 We’re backed by over 40 years of flooring experience, and have remained family owned and operated since we started in 1995. My name is Daryl Hopkins. My wife and two sons Randall and Kenneth own and operate Direct Source Flooring. I began installing vinyl and wood flooring when I was 18 years old – 43 years ago. I put myself through college at the University of Houston going to school three days a week and installing the other four. After my education I realized that I didn’t like working in an office, began installing flooring full time and eventually decided to make it my profession. I have attended every educational and installation seminar and class that I could find since that time. This stuff is not rocket science but educating yourself on new products and installation techniques is very important – this industry is in a constant state of change and I’ve tried to keep this company on the forefront of it all. Of course, there’s no education like being on yours knees at the school of hard knocks (any job site). It’s been sad to see the industry deteriorate over the past 20 years or so with cheap, uneducated and mostly illiterate installers and poorly made products flooding the market from China. We have stayed away from inferior products and labor and have always tried to give our customers the best value we can. We know you work hard for your money. Don’t throw it away on poor materials and workmanship. We started bringing ocean containers of the highest quality German and Swiss Laminate flooring in about 18 years ago, and we offer installation backed by decades of experience. We also have all profiles of moldings and 3 different types of padding for less than you will find it anywhere. We can save you a lot of money on these products because of the way we purchase, warehouse and market them. Let us help you. If you have flooring related questions or problems please call us at 281-734-7574. We are located in the City of South Houston across the gulf freeway from Hobby Airport. We are here from 10 am. to 5 p.m. Monday through Friday and are always available for after hour or weekend appointments. It’s always best to call before you come to make sure we are free to give you the service you expect and deserve. Thank you and please come see us. Check back soon for a more in depth look at how we operate, and how we manage to offer the prices and service that have kept our wonderful customers coming back time and again.